A group from Floreano Lab, EPFL and NCCR Robotics has today published their novel variable stiffness fibre with self-healing capability. 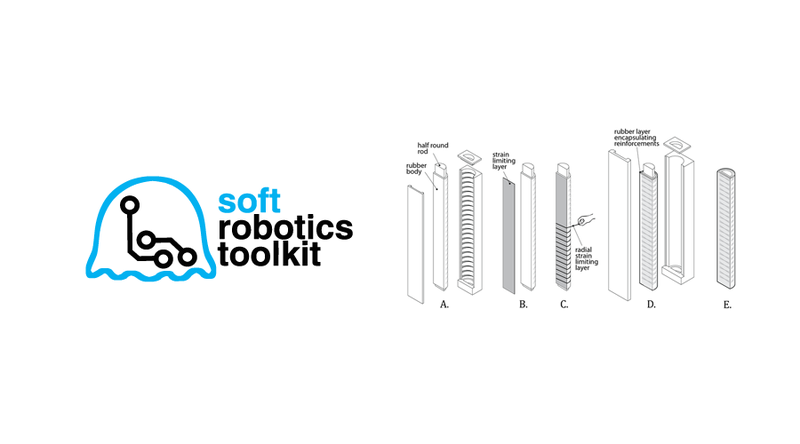 Soft “hardware” components are becoming more and more popular solutions within the field of robotics. In fact softness, compliance and foldability bring significant advantages to devices by allowing conformability and safe interactions with users, objects and unstructured environments. However for some applications, the softness of components adversely reduces the range of forces those devices can apply or sustain. An optimal solution would be having components able to vary their softness according to the needed task. Powered by a chemical reaction controlled by microfluidics, 3D-printed ‘octobot’ has no electronics. 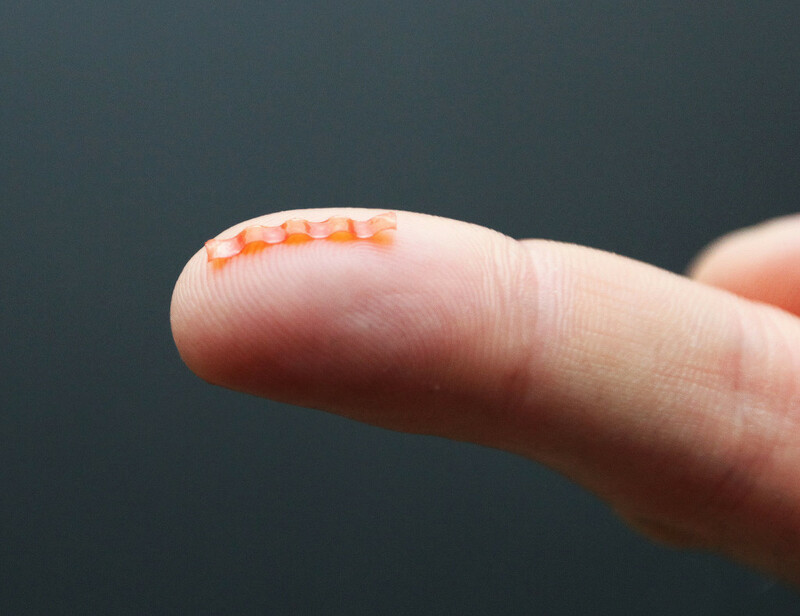 Caterpillar micro-robot sitting on a finger tip. 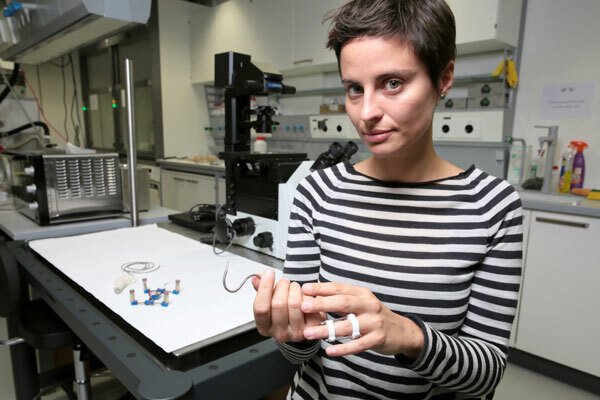 Researchers at the Faculty of Physics at the University of Warsaw, using the liquid crystal elastomer technology, originally developed in the LENS Institute in Florence, demonstrated a bioinspired micro-robot capable of mimicking caterpillar gaits in natural scale. The 15-millimeter long soft robot harvests energy from green light and is controlled by spatially modulated laser beam. Apart from travelling on flat surfaces, it can also climb slopes, squeeze through narrow slits and transport loads. 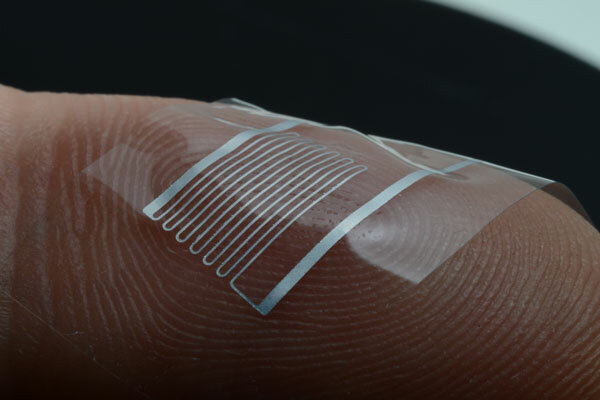 International robotics collaboration aims to create artificial muscles. As soft robotics increases in both scope and popularity, it is becoming more and more vital that each element of the electrical circuits contained within are also soft and elastic and able to continue to function reliably when in stressed or pressurised positions. 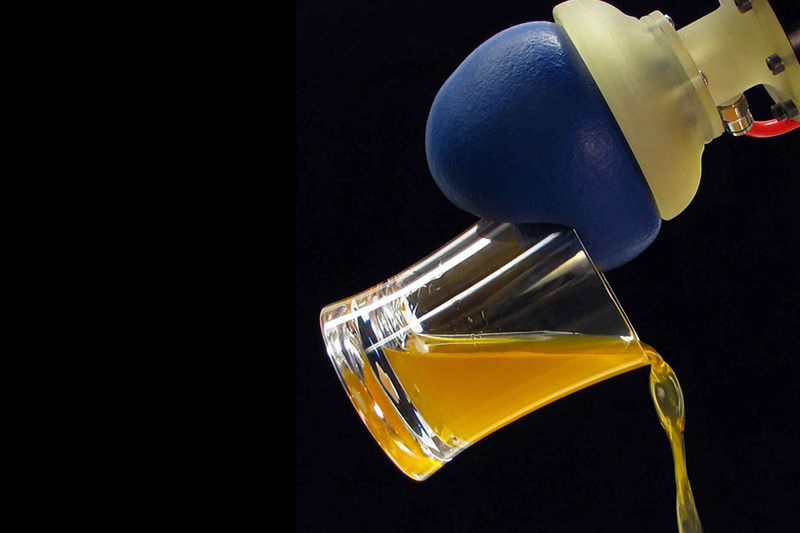 Recently, CSAIL researchers have discovered that the solution may be to turn to a substance more commonly associated with new buildings and Silly Putty: silicone. Soft robots are versatile, often much safer, more energy-efficient, robust and resilient than their more rigid counterparts. But one of the biggest challenges facing soft robotics is control – often, classical approaches don’t apply. The answer may lie in morphological computation, an idea that stems from biological systems using their bodies to control basic actions. 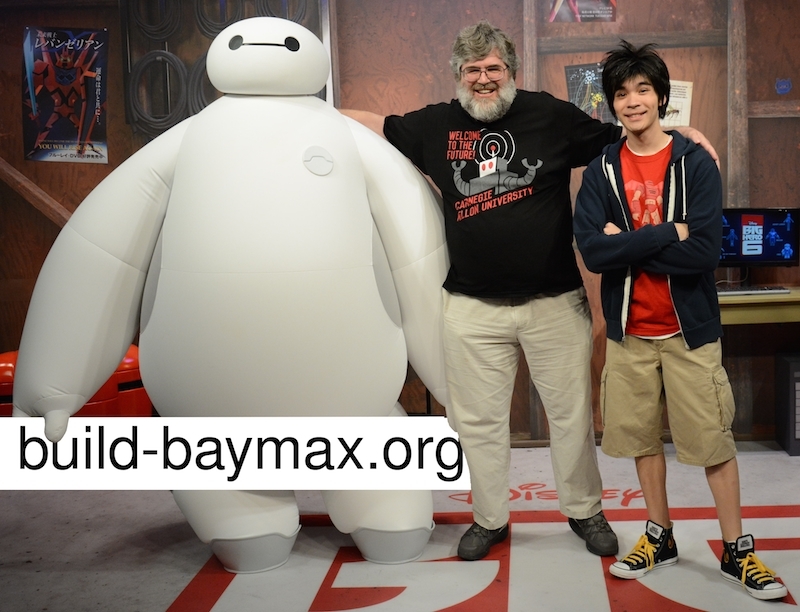 Baymax, the lovable, inflatable robot star of Disney’s recent hit, Big Hero 6, is far from a movie fantasy. With their soft cushiony bodies, robots like Baymax have very real prospects as future care-givers, space-travellers and more. Robohub’s Helmut Hauser spoke to the man who inspired Baymax – Chris Atkeson, Professor of Robotics at Carnegie Mellon University – about the hard science behind soft robotics. 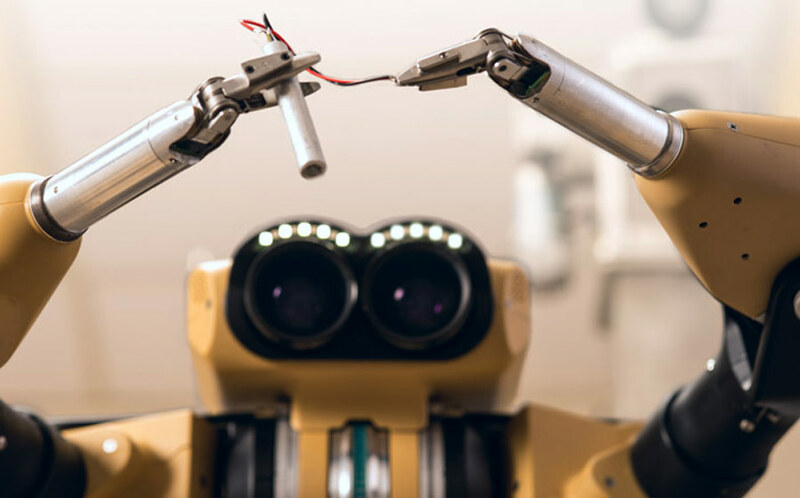 Every April, National Robotics Week fuels a heightened awareness around robotics, its impact on society, and its growing importance in a wide variety of fields and applications. Robotics, however, never seems to achieve its hyped potential from its beginnings in industrial applications, when the benefits of fast, precise, repetitive manipulation in manufacturing were a significant driver for adoption of early robotics solutions. While robot arms in manufacturing debuted the benefits of robotics technology to industry, the robot arms were put in cages and they largely stayed in those environments. In this video, PhD student at LIS, EPFL and NCCR Robotics Jun Shintake explains his project “Sensory-Motor tissues for Soft Robots”. 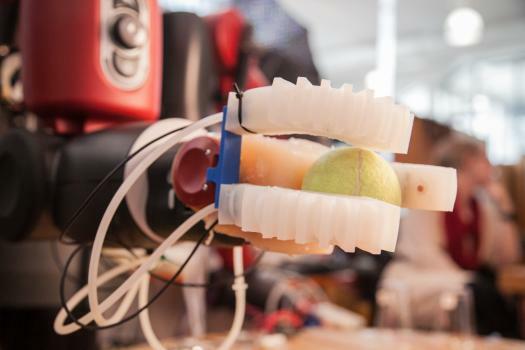 Soft robotics is finally leaving the research lab and entering the real world. One of the companies leading the way is a Boston-based startup that is commercializing the innovations of the Whitesides Research Group at Harvard. I’m talking today with Soft Robotics CEO Carl Vause. Full transcript below. 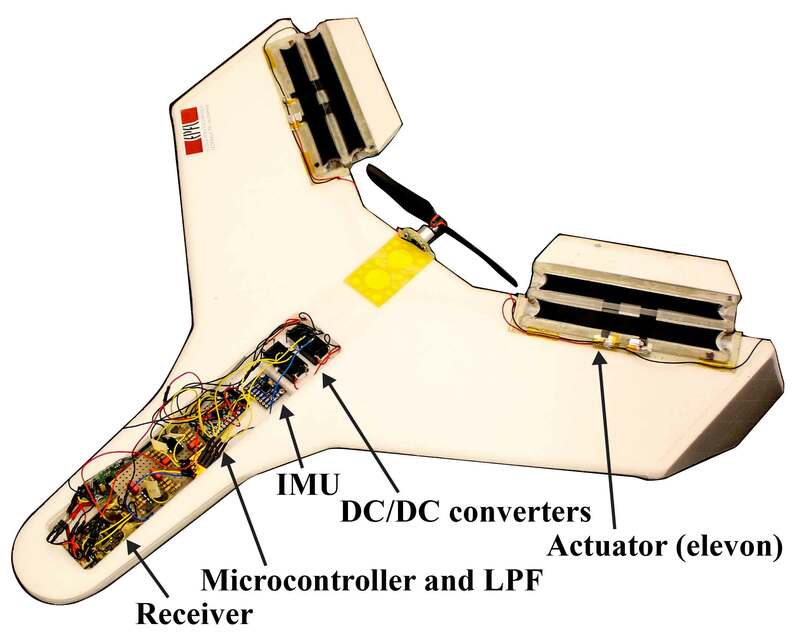 A new foldable actuator has been successfully used to fly a MAV. Traditionally, many key robot components (including sensors and actuators) are rigid, and this makes it difficult for researchers and industry to make them truly compliant with their surroundings. 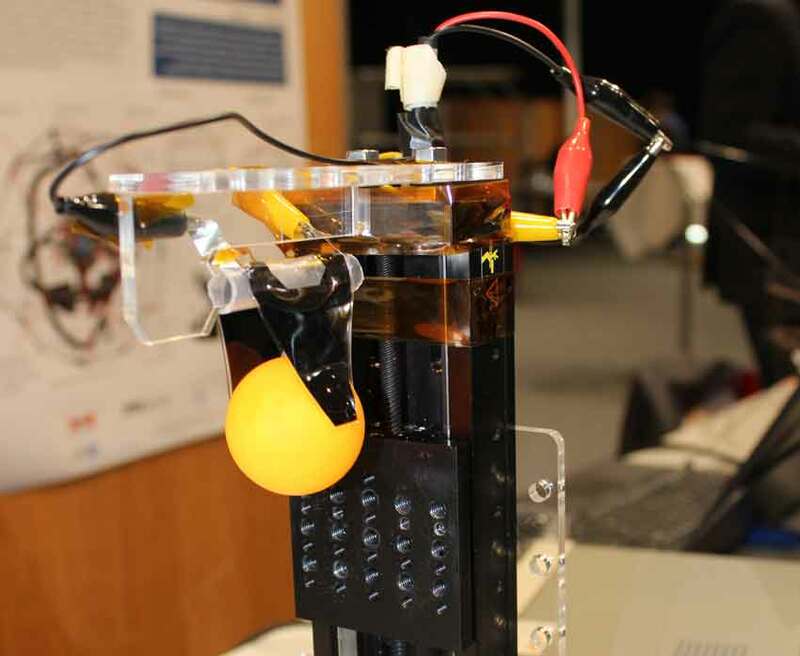 It’s with this problem in mind that a team from NCCR Robotics in the Laboratory of Intelligent Systems and the Microsystems for Space Technologies Laboratory both at EPFL in Switzerland have developed a new soft actuator that enables robots to fold.